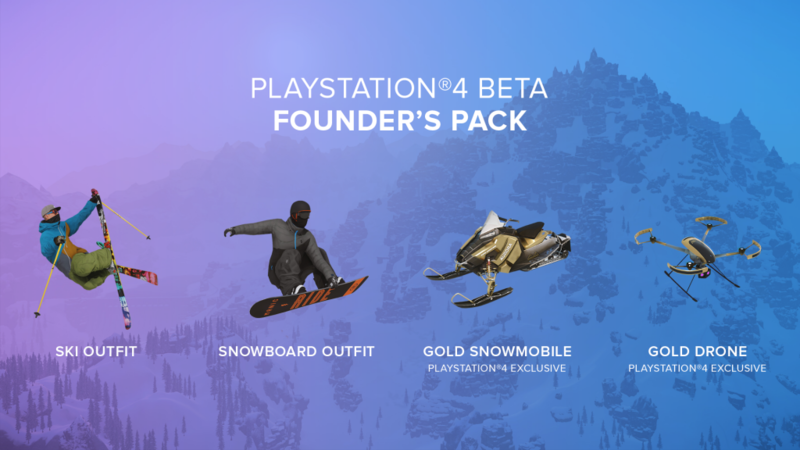 I am so extremely happy to announce that on October 18th SNOW will be launching as a Beta on PlayStation®4! The Beta will cost $19.99 to join, but for that you will get over $30 of in-game content and some exclusive items as part of the Founder's Pack! If you have PlayStation®Plus you will receive even more awesome gear for free! 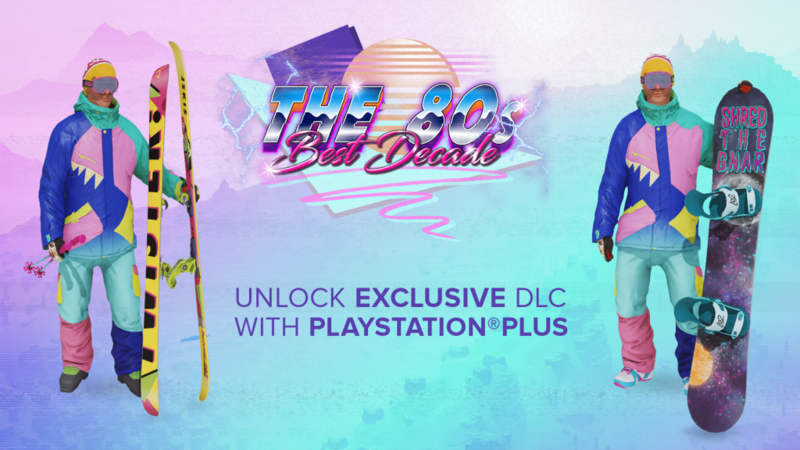 As part of the PlayStation®4 Beta you will receive this bundle of clothing and equipment, dedicated to the 80s! As we get closer to the release date we will be announcing some other new and exciting things, so stay tuned! Congrats! Finally! $50 has been put into my PSN account to purchase this on day 1. So, there will be no retail copy and it will only be available as DL? Also, it seems like a step back for some users that do not have PSN+ because even if you buy the beta, the only way to get exclusive DLC's will be through having a paid PSN+ service. Anyway, I'm all setup to enjoy SNOW and the exclusive contents 2 weeks from now. Keep up the good work guys ! I know that you have prob. heard of a new game called STEEP. Don't be afraid. After playing the alpha I can truly say you guys have the only worth while snow sports game in development! See you on the slopes ! So if I pay the $19.99 to join the beta, what happens when the full game comes out? Or will this version be updated throughout the games life / be the only version? Just want some clarification before I drop the $$ but excited it's finally coming to PS4! Will be one of my most played games for sure. Do you need PS Plus at the moment of purchase to receive the 80s gear, or will it also be available if I upgrade to plus later? So I did buy PS Plus and the beta. Where can I get the DLC gear? Heads up everyone it's not 19.99 they are charging 25.99. I'm tired of these guys changing things last minute over and over.